Is this the end of CRYPTO ?What are the reasons ? So we are back on Steemit now with daily new and interesting blogs. This blog is all about recent collapse of Bitcoin followed by Altcoins this is because SEC has put an end to the recent ETF approval hype by delaying it till September 30.A slight negative news in the market is enough to shake it fully. Bitcoin which was trading at around 8400-8500$ in the end of July is now at 6500$ within 10 days.This shows how big whales manipulate the market by creating fuds.And always newcomers and small investors are the ones which do panic selling.But in terms of price crash Altcoins beats the bitcoin they are in two digits price drop. Yes, it a reality that Btc is now standing at 1/3 of its ATH but majority of the altcoins are about 90% dip. This is why we recommend you to be in Bitcoin more than 50% of your portfolio always. Those who keep saying end of crypto after every price fall are biggest loosers. Block chain technology is here to stay it can be a revolutionary change in our society like mobile phone inventions in early eighties. It is just the beginning of a new era. We are not in loss unless we sell our holdings. Nobody likes the red candles in the market not even a CEO of a prominent coin but whatever comes up surely comes down too. Soon we will see greenery in the market for sure. 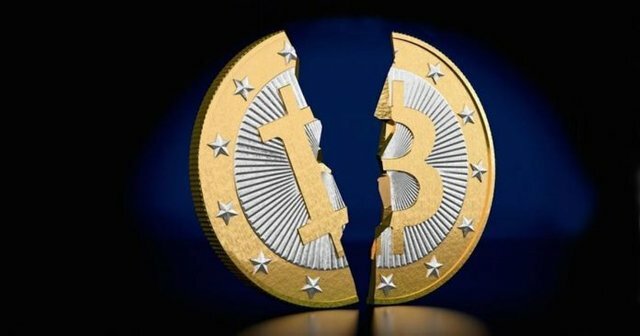 So is this the end of Bitcoin and Crypto currencies- NO! This is just the start; very few people in the world know about it let the market explore. Just imagine your portfolios after 3-5 years. 1 Jaguar = 1 BTC, see you in the next blog. Don't forget to comment down your thoughts and views about the blog below, this means a lot to us. But I guess we need have faith in logic of crypto currency. Market will boom definitely, just need to wait! Market will grow up soon. @moneyguruu Crypto will never get ended . It is the future. And I think atleast in Our Life it will not End. It might End in Our Next Life because Who Knows what better may Come. So I think We should not worry with these short term fall. Ups and Down phase comes in every part of our Life. So no need to worry for long term. By the way Sir Thank you so much for this great Explaination. @rehan very high chances of touching ATH this year again! I think Btc will recover very soon and crossed $ 10k. What You say sir ?? @moneyguruuThere is no chance for ath in this year. Because the all market manipulate by whales. When they want and think then the market up otherwise no chance to ath in this year. @moneyguruu sumit bhai what your prediction about bitcion in future because my some friend ask the question about it? FUD describes the spreading of “Fear, Uncertainty, and Doubt” (typically through media). No one can predict the price of any Altcoins because the game of this ups and down trend is now in the hands of big traders who are operating BTC futures . @amritmahal Thanks my friend your appreciation means a lot to me, keep supporting! Those who trust it, they are a little bit starting to build there partial position its just fluctuate due to trading , very soon it will spike . No one knows by when it will start accelerating , but we have to take action before its start , best strategy investment start taking partial positions. @moneyguruu Hi Sir. very informative post . thanks for sharing public place . @rahulkoshti thanks for the appreciation, we will try to make blogs on daily basis on steemit as per now.Stay tuned ! Hi #Summit (@moneyguruu), Yup Your thoughts quite similar to me, it is just start of crypto world because only few of people have knowledge about it . As crypto community will increase also value of crypto for sure will increase 📈. Once you buy a bitcoin or any altcoin never try to sell quickly . In Crypto World HODL is besy stragegy according to me. opinion can be changed according to person's way of thinking. It is the reason we should never become a panic seller. The truth, it is not the best year in crypto this year! welcome back sir and bitcoin will recover soon bitcoin have great future! @badpoison very much true ! @chesatochi who knows may be it will be the best year! So this must be the good time to invest in altcoins? i have seen that without paid promotion its not very easy to make anything in steemit . Yeah, market manupulators always plays games with every news that comes in the market. And they takes advantage of it. Every thing happens as fast as they could. Now a days bitcoin will flactuat . we already saw BTC $20000 in the January, there is no doubt the future cryptocurrencies only. Some whales wantedly they are creadting FUD so that small investors always loosing their money. But , be patient everyone we will definatley gain good profit in the crypto filed. @moneyguruu right say sir. I think whales taking advantage of this news but people is not understanding this thing and they are selling their coins at low price so then after whales come back with original money and they become more powerful to buy more coins with that money. Tell me the way I imagine it can be true. @moneyguruu I agree with you sir.i hope btc grow up soon. yes I'm absolutely agree with you... what we think market does just opposite to with our mind. As market psychology does work..
but those who keep patience and invest in lower level they made profit and for them these is just like a ABCD as simple as possible..!!!! is not it sumit ji??? So this is the right time to buy bitcoin? Crypto market will Never stop. It's unstoppable technology and upcoming technology it has some error but soon all get resolved and whole world will accept crypto. Hello sir your all post and video very best thank you sir.. Yes I Agree Time is buy altcoins . It seems to difficult that Bitcoin will touch a new. It will take more time to get it's high touch. Because a fear has come in crypto market. No doubt about that negative news about Bitcoin affect the market but keep it in mind that when price of bitcoin was over $8000, at that time RSI was at 77, so obviously price should go down and then again comes to bullish zone, but due to ETF delay suddenly price comes down but RSI did not cross below 30. So now a days price is not in selling trend, actually it is in sidewave trend. @moneyguruu Is there any platform which commonly deals with all the cryptocoins mentioned in the video? I definitely agree that is not end. In my opinion there are sale in crypto market buy with more confidence @moneyguruu what you think is this sale period?